Erik Gleibermann is a San Francisco social justice educator and writer. He has published investigative reporting, cultural journalism, memoir and poetry in The Atlantic, The New York Times, The Washington Post, The San Francisco Chronicle, The Guardian, World Literature Today, Tikkun, Colorlines, The Black Scholar and numerous education and literary journals. He has been affiliated with the University of California, Berkeley Graduate School of Education and is a 2019 international U.S. Fulbright Specialist. He launched Socratics Mentoring in 2005 as professional writer, classroom instructor and social justice activist to support and inspire young students and writers. 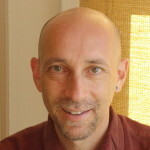 Born and raised in Ann Arbor, Michigan, Erik has lived in San Francisco since graduating from Yale University in 1985.